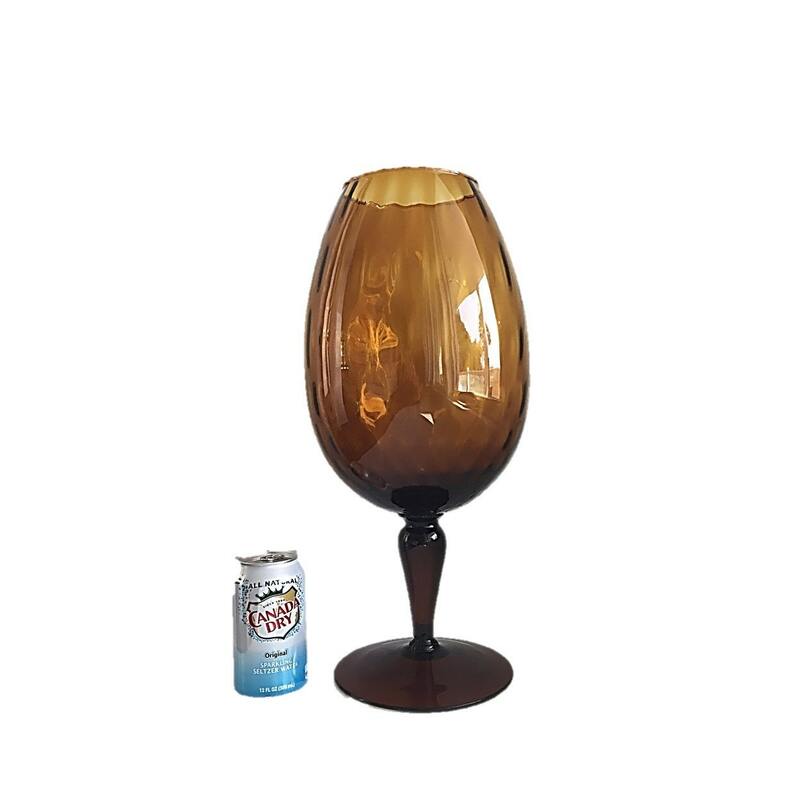 This MASSIVE Mid-century Empoli/Italian footed glass compote/bowl/centerpiece in a deep honey/brown is an UNBELIEVABLE find! This monster stands nearly 20" tall and is 10" wide in diameter! Perhaps it's best described as a wine glass for Gulliver or the Jolly Green Giant! 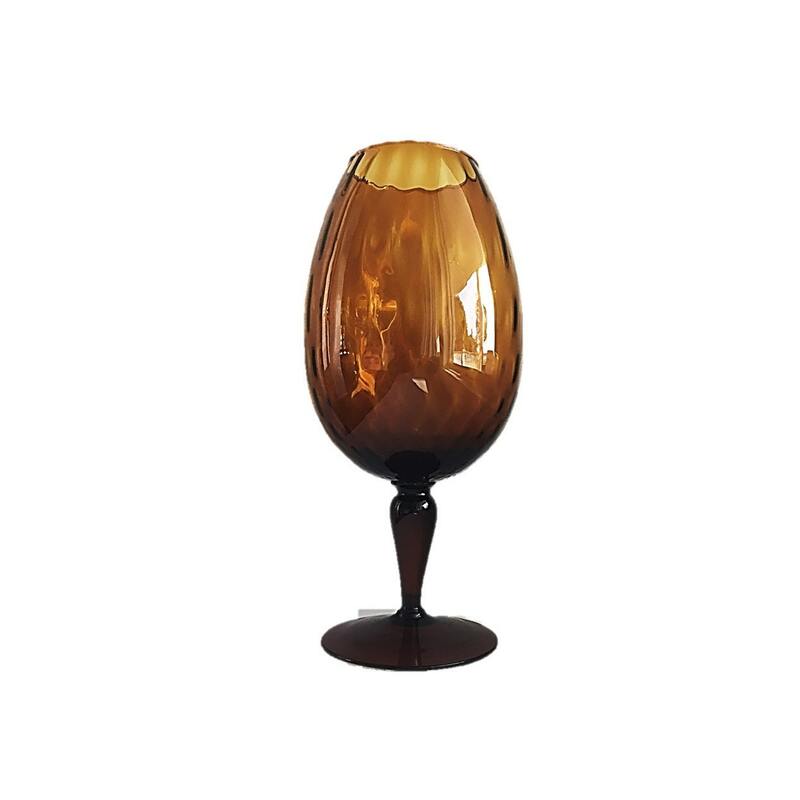 Either way, with its shimmering optics and curvaceous footed stem, it's an unusual beauty! Condition: Clean, no damage, some slight wear on base as expected. Remember, all GLASSpheme pieces sold to customers in the lower 48 United States SHIP FREE! !